Home Car Brands What Is Mercedes-Benz EQ? What is Mercedes-Benz EQ? Here’s a clue: It’s not (solely) the Concept EQ concept vehicle it has been showcasing. Rather, EQ is a sub-brand of Mercedes-Benz, much like AMG and Maybach. 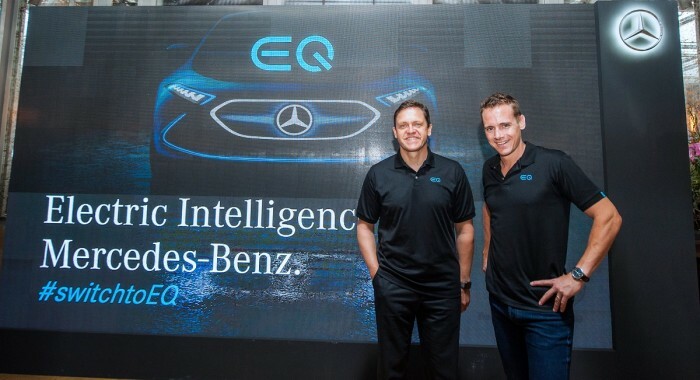 “EQ” is derived from the Mercedes-Benz brand values of emotion and intelligence and basically represents the brand’s intelligent electric mobility. 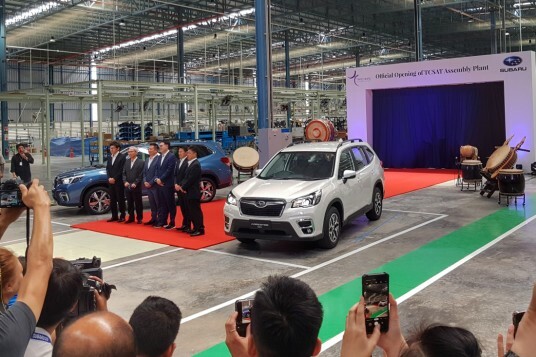 The brand’s first foray into electric mobility in Malaysia began with the launch of the locally produced flagship Mercedes-Benz S400h, followed by the E300 Bluetec hybrid, and then the C350e and E350e plug-in hybrid sedans. 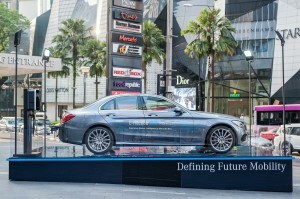 With the official launch of the EQ brand in Malaysia, the current C350e and E350e will no longer carry the ‘Plug-in Hybrid’ badge but will be redesignated as ‘EQ Power’. EQ Power is the company’s stepping stone to EQ which is reserved for its future range of full electric vehicles. “It is a rare and proud moment for us that we are able to introduce an all-new brand under the Mercedes-Benz portfolio which includes Mercedes-AMG and Mercedes-Maybach. We believe that the EQ brand will take us forward into the future of mobility with emphasis and innovation in connectivity, autonomous drive capabilities and shared services. With this, we reaffim that Mercedes-Benz is, and always will be, the pioneering brand in the automotive industry as we have been since we invented the automobile over 130 years ago,” said Mercedes-Benz Malaysia President and CEO, Dr Claus Weidner. 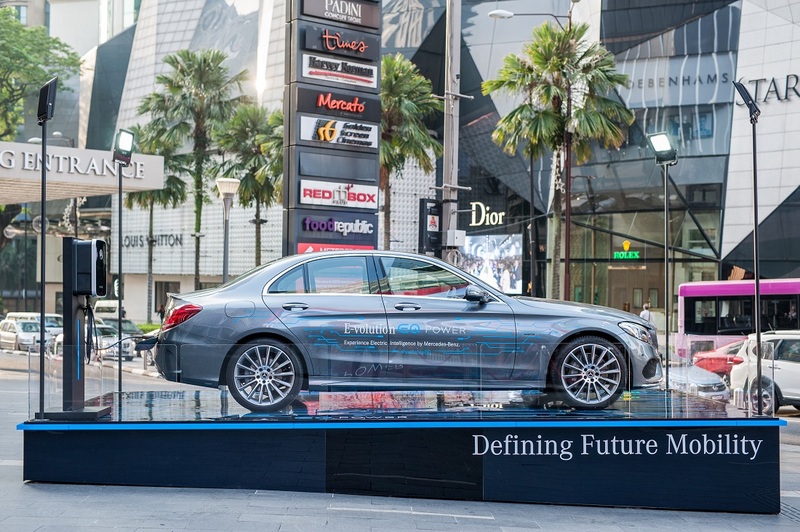 “By launching the EQ brand led by our technology leaders and range-topping EQ Power C350e and E350e plug-in hybrid automobiles, we are able to create something highly emotional. The thrill of immediate acceleration with the sustainability of efficient energy consumption. To us, electric mobility is more than an alternative drivetrain. The EQ brand is our technology calling card for customer-focused electric mobility. It extends beyond the vehicle itself to an ecosystem designed to deliver the best value, convenience and luxury to our customers and fans,” said Mercedes-Benz Malaysia, Sales & Marketing, Vice President, Mark Raine. But EQ is more than just a brand for vehicles. 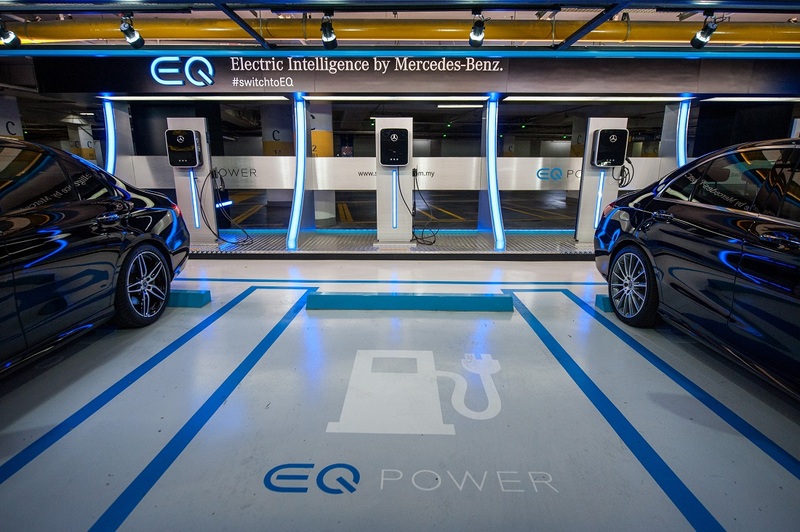 It also represents Mercedes-Benz’s electric mobility solution, and this includes Mercedes-Benz-branded charging stations (which will now be converted to EQ charging stations). 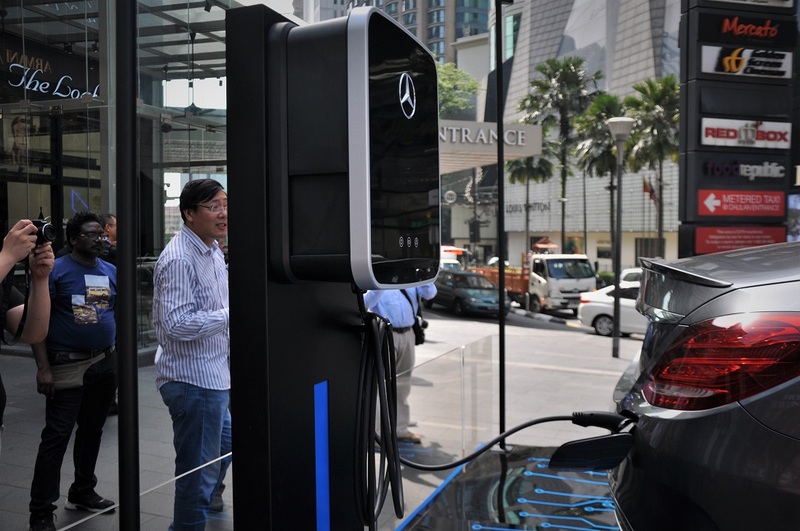 As part of the company’s support for the EEV initiative in Malaysia, Mercedes-Benz Malaysia has established a charging station network for the convenience of plug-in hybrid owners (other brands’ plug-in hybrids are also free to use this network, subject to fair usage). Currently, its charging stations are located in Bangsar Shopping Centre, Sunway Pyramid, Desa Parkcity and Pavilion Kuala Lumpur. According to the company, more locations are planned and will be announced in due course. 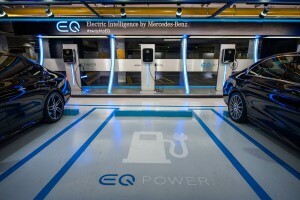 Mercedes-Benz EQ Power buyers will receive a complimentary charging card for a year’s worth of free usage. For a more convenient and comprehensive charging network for its customers, Mercedes-Benz Malaysia is also riding on GreenTech Malaysia’s ChargEV network. Aside from the charging solution, Mercedes-Benz Services Malaysia is also introducing the EQ Agility Care package for added value and peace-of-mind throughout the ownership experience with your EQ Power C350e or EQ Power E350e. For an ownership tenure of over three to five years, customers will enjoy scheduled vehicle maintenance and servicing along with an EQ Power charging wallbox packaged with their new EQ Power C350e and EQ Power E350e over the same period. With this package, the Mercedes-Benz Financial range of products expands further, enabling you to plan and project plug-in hybrid electric vehicle running costs over time.